Square Coffee Table free building plan. Build a square coffee table and add hairpin legs or make your own out of wood. Free instructions at the link. Convertible Coffee Table free plan. This coffee table folds out to become a full size table. When you do not need it as a table anymore, fold it down to become a coffee table. Free plans at the link. Industrial Coffee Table free building plan. 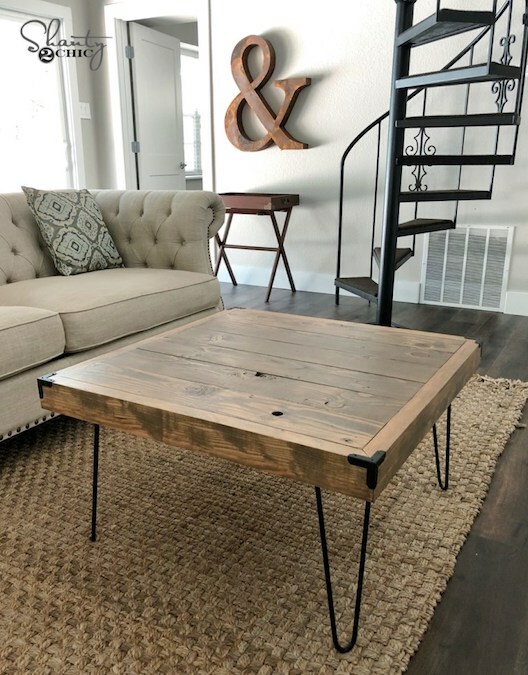 At the link you will find free step-by-step plans to build this industrial style coffee table. The legs are wooden but painted flat black to mimic metal. 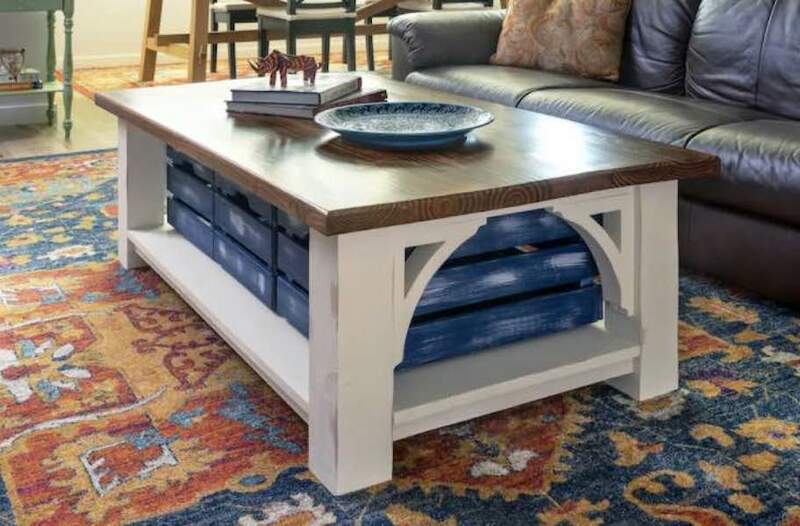 Coffee Table free woodworking plan. Build this farmhouse style coffee table using the free woodworking tutorial at the link.